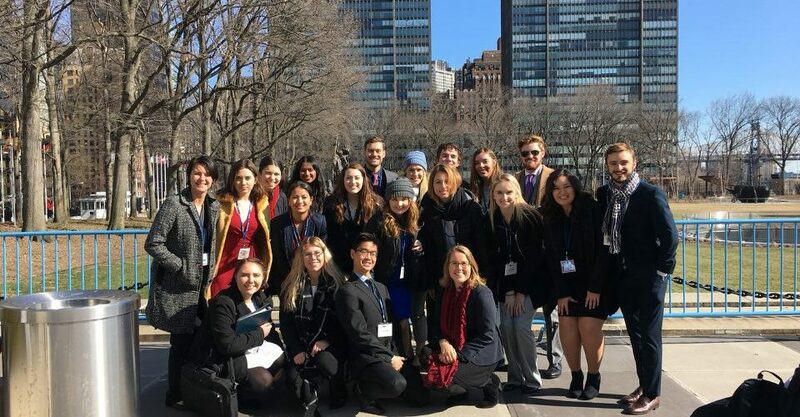 Pepperdine’s Model United Nations club took big wins last week at the New York conference when they placed “Outstanding,” a ranking that is only awarded to the top 10 percent of the 150+ Model UN cubs participating. The Pepperdine team makes up about 20 out of more than 5,000 international participants. 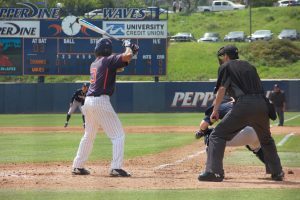 This is the second time Pepperdine has placed in the outstanding category, said senior Caleb Perkins, club president. Despite their success, Perkins said that winning is not the objective. 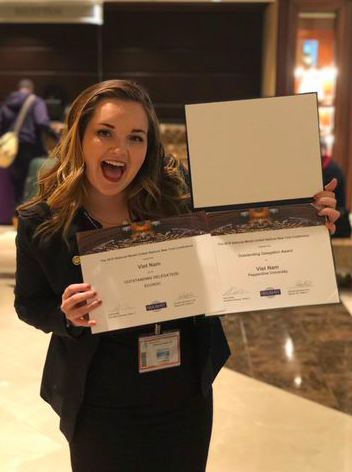 The six-day conference attempts to mirror the official United Nations by creating 23 committees, where Pepperdine students also excelled, winning multiple honorable delegate awards, as well as a few position paper awards. The idea for each of the committees is too reach a solution that best suits the assigned country for whatever that issue may be, Perkins said. “Each day you’re spending between 8 and 12 hours in your committee,” Perkins said. This success came at a time when the club had an unusually high number of first-year students, making the ranking even more surprising. Perkins attributed the team’s success to positive team work, and he described the members as curious and thirsty to learn. Perkins said having a team that works together is what makes it a great environment to work in. 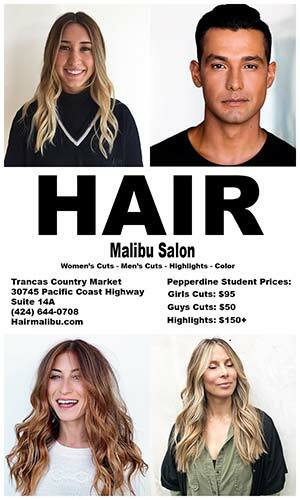 “We all seem really comfortable and open with one another, and I would say that’s really important for a successful year,” Perkins said. 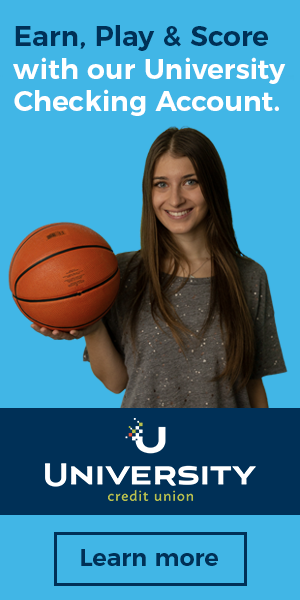 Freshman Kimberly Brooking described the experience as an incredible opportunity for her. Brooking said the club has big plans for the future. “Looking forward, [we] are trying to expand to international conferences in Germany and China,” Brooking said. 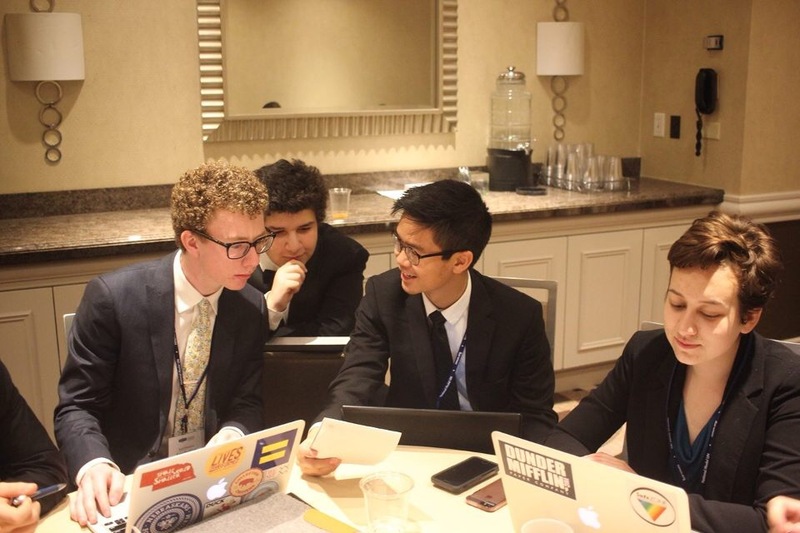 This year the club hopes to send it’s team to the National Model United Nations (NMUN) China conference and has already created a GoFundMe page, “Send Pepperdine MUN to China!” requesting $8,000 to garner funding for flights, hotels, transportation, visas, delegate fees and team registration fees for conference in November 2018. Junior and Model UN Assistant Chief Financial Officer Amy Roth created the GoFundMe. 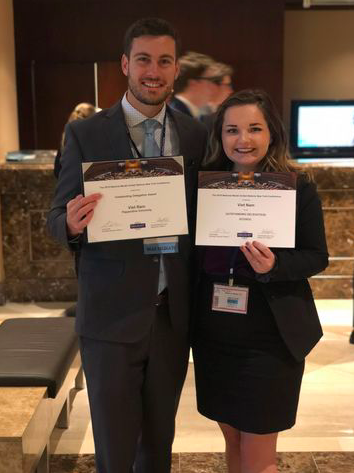 “It is the second time NMUN has hosted a conference in China, and in light of our recent successes, as well as the hard work and dedication from our members, we as an executive board are looking to expand into different conference territory and establish Pepperdine MUN as an internationally represented organization,” Roth wrote. 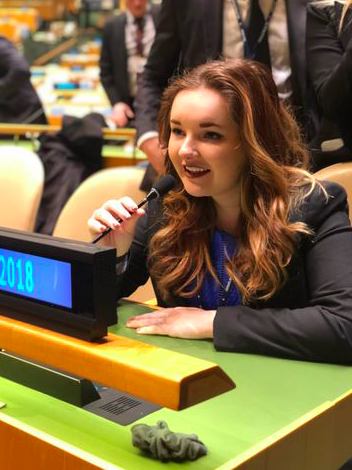 As far as getting into the Model UN club, Brooking said it is difficult and one who joins must be aware of all international news, but it is worth it. 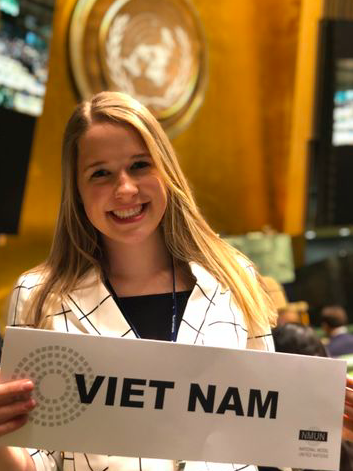 “Each time [we meet] its challenging in different ways throughout the year, a lot of public speaking, writing in depth analysis of different things, we have to practice simulations,” Brooking said. 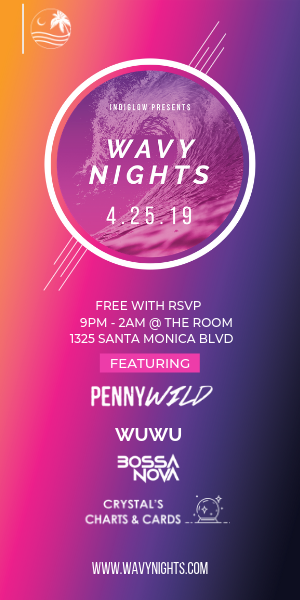 Brooking said she has been able to learn from other students who have been in the club for many years, and that opportunity has had the biggest impact on her as a first-year. Visiting the official United Nations building in New York was one of the highlights of the trip for Brooking. “Coming back and being able [to say] I stood where so many incredible things happened, and even more than anything that was said that day, I feel like the gravity of just that place kind of hits you,” Brooking said.